The eve of poll results saw many assembly poll contestants praying for victory at various religious shrines. Is battle for electoral supremacy a factor for fractures that have appeared in some well-known political families in Punjab? Not only have Chief Minister Parkash Singh Badal and his brother Gurdas fallen apart, but after decades of staying together as a unified political force, other bigwigs, both in the Congress and the SAD, too stand “distanced” from their kith and kin over issues other than domestic. With the SGPC office-bearers’ elections yet to take place, the race for the new SGPC president may hot up in the event of the SAD and its heavyweights losing the assembly poll. The prestige of a number of prominent political families is at stake in the Punjab assembly elections, the results of which will be declared tomorrow. Former Chief Minister Amarinder Singh’s son Raninder Singh contested the assembly election for the first time from Samana in Patiala district. On the eve of counting, the SAD-BJP alliance is upbeat and so is the Congress. Both parties are confident of occupying the treasury benches in the 14th Vidhan Sabha.The Sanjha Morcha led by the People’s Party of Punjab (PPP) is certain it will be a power broker with no party securing a majority. Every 10th assembly constituency in the 14th Punjab Vidhan Sabha will be represented by a new face. Even as delimitation forced several sitting legislators to move from one constituency to another, there are at least 12 such segments from where none of the present contestants has been elected to the Vidhan Sabha before. The Punjab Police was today directed to destroy RDX and other explosive materials lying in police station malkhanas in the state. Politicians belonging to different parties today expressed grief over the demise of sitting Congress MLA from Muktsar Kanwarjit Singh Brar (Sunny), son of former Chief Minister Harcharan Singh Brar, and attended his cremation at his native Sarainaga village near here. After the Election Commission fixed Rs 16 lakh limit for poll expenditure per candidate in the Assembly elections and warned that “exceeding this limit may cause disqualification of a candidate”, candidates are having anxious moments. Anxiety and the long wait for poll results has taken a toll on the health of most candidates. All candidates are looking to divine intervention with poll pundits predicting a photo finish. The Revenue Patwar Union vice president, Mohan Singh, who was picked up by the Vigilance Bureau (VB) for his alleged involvement in the multi-crore paddy scam, has alleged that senior police officers of the Vigilance Bureau hurt his religious sentiments when he was in the police custody and filmed him in objectionable postures. The Punjab and Haryana High Court has directed the Punjab Pollution Control Board to ensure rice shellers in the state comply with the recently formulated policy on husk disposal, ash management and setting up of new units. Chandigarh, March 5 The Bench of Chief Justice Ranjan Gogoi and Justice Mahesh Grover today ordered a judicial probe into the alleged segregation and solitary confinement of three inmates in Ferozepur jail for protesting against free drug sale in jails. The eve of poll results saw many assembly poll contestants praying for victory at various religious shrines. But, the ruling Badals remained busy either meeting their supporters or attending death-related ceremonies. Chief Minister Parkash Singh Badal and his Deputy Chief Minister son Sukhbir Badal first met their party workers at Badal village. Around noon, they stepped out from their palatial house to attend various rituals. Badal Senior first visited a few villages in Lambi constituency and met those who had recently lost their family members, an aide said. Dozens of SUVs were parked at Moti Bagh Palace at 11 am here today. "Today is a special day as the ‘maharaja’ is here to seek the blessings of the Rajmata", said an aide of Punjab Congress president Amarinder Singh. Just then, a buoyant Amarinder stepped out of his car, waving to partymen gathered at the palace. During his three-hour stay there, the ‘maharaja’ lunched with his mother Mohinder Kaur, son Raninder Singh and daughter Jai Inder. "The Badal era is finished. We are likely to get 73 seats. Reports from grassroots-level workers, and state and central intelligence agencies suggest that Parkash Singh Badal may lose from Lambi," he told mediapersons at a brief interaction. Before leaving with his confidant, Arvind Khanna, he had a word with his supporters at the palace. A tired looking‘Yuvraj’ Raninder Singh Tikku, Congress candidate from Samana, appeared to look confident. "Tomorrow will be the end of the black Akali-SAD era with the CM set to lose his Lambi seat", he claimed. Anticipating victory, many Congress supporters and loyalists are gearing up for celebrations and buying crackers and sweets and hiring dholis. People’s Party of Punjab (PPP) president Manpreet Badal held a meeting with party workers on arrival at Badal village. Manpreet Badal said he was confident that his PPP-led Sanjha Morcha would emerge victorious in at least 20 assembly constituencies. On the other hand, Gurdas Singh Badal, estranged younger brother of Parkash Singh Badal and a PPP candidate from Lambi, started his day by paying obeisance at Gurdwara Chor Maar Sahib near Dabwali in Haryana. After this, he held meetings with his supporters at Badal village and Malout town. Former Finance Minister Manpreet Singh Badal walked out of the SAD-BJP government much before the present assembly completed its term. After the death of Cooperatives Minister Capt Kanwaljit Singh, his son Jasjit Singh Bunny, expressing disappointment with the SAD, declared publicly to carry out the agenda set by his father with the support of the Banur electorate. He later returned to the Akali Dal fold and was elected from Banur in the subsequent byelection. Bunny’s sister Manpreet Kaur Dolly, defying the SAD high command, is contesting as an Independent from Dera Bassi while Bunny is backing SAD candidate NK Sharma. Malwinder Singh walked out on his brother Capt Amarinder Singh when denied the Congress ticket from Samana. He was eyeing the ticket for Samana which was allotted to his nephew Raninder Singh. He then joined the SAD, creating a split in the royal Patiala family. Signs of similar fissures appeared in Gurdaspur’s Bajwa family after the Congress High Command preferred Charanjit Kaur Bajwa, wife of sitting Lok Sabha member Partap Singh Bajwa, over her brother-in-law Fateh Jung Singh Bajwa for the party ticket. The Bajwa brothers, however, sorted out the matter amicably. In case of the late Chief Minister Beant Singh’s family, former legislator Gurkanwal Kaur was denied the ticket from Jalandhar Cantonment even as her nephew Gurkirat Singh got the ticket from Khanna. Though both Gurkanwal and Gurkirat staked claim to different seats, the party followed the “one family, one seat” norm that upset the former. Four SAD heavyweights-Bibi Jagir Kaur, Sucha Singh Langah, Sewa Singh Sekhwan and Tota Singh-are SGPC members who are are also contesting the assembly elections. 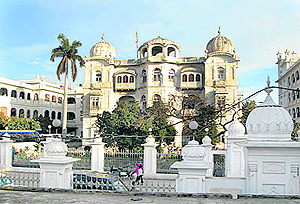 Bibi Jagir Kaur had already held the key SGPC post twice. She became the first woman to head the SGPC on March 16, 1999. Her first stint lasted for a little over a year. She again remained president from September 2004 to November 2005. Bibi is locked in a keen battle with Congress leader Sukhpal Khaira in Bholath. Punjab Agriculture Minister Sucha Singh Langah and Education Minister Sewa Singh Sekhwan may emerge main contenders for the top SGPC post. Both are contesting from constituencies formed post-delimitation. While Sekhwan is trying his luck from Qadian against Gurdaspur MP Pratap Singh Bajwa’s wife Charanjit Kaur, Langah is pitted against senior Congress leader Sukhjinder Singh Randhawa in Dera Baba Nanak. Another SAD stalwart Tota Singh is facing a tough battle in Dharamkot against two former Akali leaders Sukhjit Singh Kaka Lohgarh and Kuldeep Singh Dhos, who are contesting on the Congress and PPP ticket, respectively. In the event of these SAD bigwigs losing the assembly elections, they are likely to stake claim to the top SGPC post. In fact, it is being considered as a launch pad for his political career. Last time, he contested the Lok Sabha elections from Bathinda, but lost to Harsimrat Kaur Badal with a huge margin. In case Raninder wins from Samana and the Congress forms the next government, he will emerge as a crucial player in state politics. Rajinder Kaur Bhattal’s son-in-law Vikram Bajwa, a first-timer, was in the fray from Sahnewal. Bhattal, who had lobbied hard to secure the ticket for Vikram, hopes that he makes it to the state assembly. Charanjit Kaur Bajwa, wife of Pratap Singh Bajwa, another Congress leader and MP, was in the fray from Qadian. She was pitted against senior Akali leader Sewa Singh Sekhwan. Ignoring the claim of his brother Fatehjang Bajwa, Partap Bajwa had secured the ticket for his wife. In Kotkapura, Congress Working Committee member Jagmeet Singh Brar’s brother Ripjeet Singh Brar was in the fray against Mantar Singh Brar, late minister SS Brar’s son. Here, the prestige of Jagmeet is at stake. Former Speaker Balram Jakhar’s son Sunil Jakhar was in the fray from the Abohar constituency, which witnessed a triangular contest. MP and former Punjab Congress chief Mohinder Singh Kay Pee’s wife Suman Kay Pee was a candidate from Jalandhar (West). Similarly, former Chief Minister Beant Singh’s grandson Gurkirat Singh is trying his luck for the first time from the Khanna constituency. Obviously tomorrow will be a big day for Gurkirat as his future in the state politics rests on his performance. BJP MP Navjot Singh Sidhu’s wife Dr Navjot Kaur Sidhu was a candidate from Amritsar (East). Sidhu had spearheaded her election campaign. It will be a testing time for the couple tomorrow. Likewise, it will be a crucial day for some big political families belonging to the SAD. Parkash Singh Badal and his son Sukhbir Singh Badal contested the elections from the Lambi and Jalalabad constituencies, respectively. Last time, Sukhbir had won with a record margin of over 80,000 votes. Manpreet Singh Badal’s father Gurdas Singh Badal was pitted against his brother and Chief Minister Parkash Singh Badal from Lambi. Obviously, the honour of both the Badal families is at stake. Parkash Singh Badal’s son-in-law Adesh Partap Singh had contested from Patti. It was a tough battle for him there. Sukhbir Singh Badal’s brother-in-law Bikram Majithia was in the fray from Majitha. Sukhdev Singh Dhindsa’s son Parminder Singh contested the elections from Sunam while former Chief Minister Surjit Singh Barnala’s son, Gaganjit Singh Barnala, tried his luck from Dhuri. For the Barnala family, which has been pushed to the edge, tomorrow will be a crucial day for their survival in the state politics. Likewise, other political leaders such as Balwinder Singh Bhunder and Paramjit Kaur Gulshan whose close relations also contested the polls tomorrow will be a decisive day. 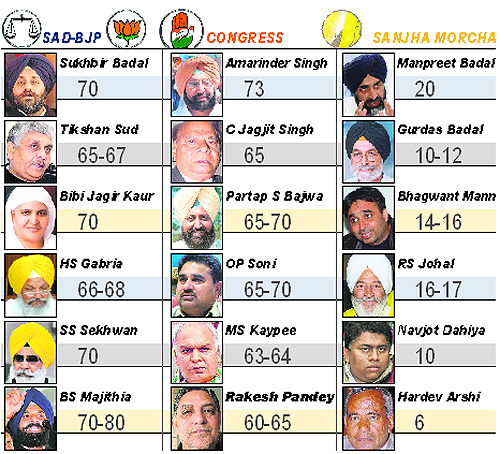 Insiders, without wanting to be named so as not to contradict SAD president Sukhbir Singh Badal’s claim of winning 70 seats, say that the SAD should be close to the 50-seat mark while its alliance partner (BJP) is certain to touch the double digit. The SAD, that funded the campaign of a majority of Congress rebels, is leaving nothing to chance. It has established contact with the rebels, promising them the moon in return for their commitment to the SAD-BJP alliance, if need be. Even though the PPP was summarily dismissed as a party of “traitors” by SAD patron and Chief Minister Parkash Singh Badal, it is the latter that has now suggested a rapprochement with his nephew Manpreet Singh Badal in the interest of the party and the family. Grapevine has it that there has been some reconciliation between the two. In Lambi, Parkash Singh Badal is fielded against his younger brother Gurdass Badal and in Gidderbaha Manpreet is pitted against SAD nominee and one-time Congress leader Sant Singh Brar and Congress nominee Amarinder Singh Raja Warring. The latter is on good terms with Sukhbir Badal. The SAD denies dissidence in the party having expelled those who went against the party directive. However, it has established contact with three or four dissidents who could emerge winners. Some of them have contested on the PPP ticket. In the eventuality of the SAD-BJP falling short of a few seats, it could engineer a mass defection from the PPP. Another possibility could be the PPP doing better than expected. In such a scenario, the PPP would have to decide between the SAD-BJP alliance and the Congress and could even set terms for extending support. Former PPP leaders who quit Manpreet to join the Congress have indicated that in case such a situation arises, the PPP is more likely to join the SAD-BJP rather than the Congress. But political analysts counter this, saying that such a step would be suicidal for Manpreet and he would rather remain neutral than join the SAD. The guessing game will be over early tomorrow. It will be the nearly 24 constituencies on the edge that are likely to decide as to who forms the next government in the state. Punjab Congress president Capt Amarinder Singh today called on Governor Shivraj Patil at Raj Bhawan here on the eve of the announcement of poll results, indicating that the party is preparing for every eventuality. The PCC president claimed it was a routine meeting. Observers said with opinion surveys predicting a close finish, the role of the Governor could become important. Amarinder is exuding confidence. He maintained that almost all exit polls showed that the Congress had an edge. "Based on my 41 years in public life, I can say we are winning", he said, adding "I am better than any pollster". The PCC chief is confident the Congress will win 41 seats in Malwa and 16 each in the Doaba and Majha regions, taking the party tally to up to 73. Amarinder Singh maintained the PPP would not affect the Congress chances, arguing that even if the party got a 7 per cent vote share, at least 6 per cent of it would be from the Akali vote bank. Party leaders feel that in case the Congress emerges as the single largest party but does not reach the 59-seat figure, its first choice would be to reach out to rebel Congress men who make the cut, among them Dera Bassi rebel Deepinder Dhillon and Mukerian rebel Rajnish Babbi. Another rebel with a winning chance is Upinder Sharma from Kotkapura. The second choice for the Congress is to reach out to SAD rebel Simarjit Singh Bains who is likely to win from Atam Nagar. The Congress is banking on the fact that Bains would not want to with the SAD that had humiliated him and his brother Balwinder, who contested from the Ludhiana (South) constituency. Banking on the People's Party of Punjab (PPP) would be the last choice for the Congress as it is aware that Manpreet Badal would strike a hard bargain. An Amarinder aide said the PPP had not been contacted as there was no clarity on the number of seats it would win. The Congress party is also aware that most of the PPP candidates likely to win have an Akali background. This makes dealing with Manpreet tricky. Amarinder says he is not tense. "I have spent 10 years in the Army where one is taught to be disciplined and persevering". Amarinder remained closeted with his aides, including Arvind Khanna and Kushaldeep Dhillon, today. He plans to have a quiet dinner tonight. Asked what is cooking, he said: "I am cooking their (Akali's) goose", he remarked. The Sanjha Morcha is hoping it will win some seats and there will be a hung assembly. In such a scenario, the Sanjha Morcha, led by People's Party of Punjab leader Manpreet Badal, will have to decide as to which party it should support to form government. "We will not support any party in case of a hung assembly", maintained Bhagwant Mann, Manpreet's close associate and a candidate from Lehra. Extending support to the Congress or the SAD would be political harakiri, he added. The best course for the Morcha would be to refrain from supporting any party, he said. "The Morcha may go to its supporters in various constituencies and ask them as to which party it should support. Raghunath Singh, CPM leader, said the decision to support any party would be based on a consensus. In two of these constituencies — Bhadaur (Darbara Singh Guru )and Phagwara (Som Parkash) — bureaucrats are in the fray. In Amritsar East Navjot Sidhu, a doctor by profession and wife of sitting Lok Sabha member Navjot Singh Sidhu, is in the reckoning. All are SAD-BJP candidates. In Nawanshahr, the main fight is between first-timer women candidates Satinder Kaur Kariha (SAD) and Guriqbal Kaur (Cong). Satinder comes from the family of MLA Jatinder Singh Kariha who died in September last year. The 13th Vidhan Sabha also lost other members- Capt Kanwaljit Singh (SAD-Banur) and Kanwarjit Singh Brar (Cong-Muktsar). Subsequently, Capt Kanwaljit’s son Jasjit Singh Bunny was elected on the SAD ticket to represent Banur. This time he is not among the contestants. Ludhiana will have the credit of sending a large number of new faces to the 14th Vidhan Sabha. Former Lok Sabha member Sharanjit Singh Dhillon (SAD) is pitted against Vikram Singh Bajwa, son-in-law of Rajinder Kaur Bhattal, Leader of the Opposition, in Sahnewal. In Ludhiana East, the Congress fielded Gurmel Singh Pehalwan against Ranjit Singh Dhillon of the SAD. In Ludhiana South, Independent Balwinder Singh Bains (rebel SAD candidate) is locked in a contest with Ashok Prashar (Cong) and Hakam Singh Giaspura (SAD and Mayor of the Ludhiana Municipal Corporation). All are seeking to make a debut in the Vidhan Sabha. In Ludhiana West, former Punjab BJP chief Rajinder Bhandari is facing greenhorn Bharat Bhushan Ashu of the Congress. Ferozepur Rural, too, has freshers in the fray. Congress candidate Satkar Kaur faces Joginder Singh, alias Jindu, of the SAD, besides Hansa Singh of the Peoples’ Party of Punjab. Karan Kaur, widow of Kanwarjit Singh Brar, is the Congress candidate from Muktsar. She faces Kawarjit Singh of the SAD and Jagjit Singh of the PPP besides a few others. In Budhlada, former SAD MP Chatin Singh Samaon is pitted against Satpal Singh (Cong) and Ranjit Kaur of the PPP besides others. In Bhadaur, DS Guru, former Principal Secretary to CM, faces Mohammed Saddique of the Congress. The direction came on a PIL filed by advocate HC Arora for directions to the Punjab Police and army authorities to jointly destroy the stocks of RDX and explosive materials lying in the malkhanas all over the state. 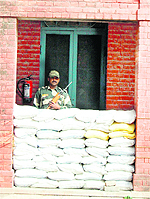 As the case came up for hearing before Chief Justice Ranjan Gogoi and Justice Mahesh Grover on the previous date of hearing, the High Court directed the Union Home Ministry to take a decision on the representation submitted by the Punjab government for deputing a specialist unit of the Army for destroying the explosive material, including RDX. Chief Minister Parkash Singh Badal, his Deputy CM son Sukhbir Singh Badal, Union Minister of State for External Affairs Preneet Kaur, PPCC chief Capt Amarinder Singh’s estranged brother Malwinder Singh, Congress Legislature Party Leader Rajinder Kaur Bhattal, SAD (A) president Simranjit Singh Mann, SAD leader Aadesh Partap Singh Kairon, several MLAs and other leaders were among those present. Kanwarjit Singh had been suffering from cancer for the past three years and he breathed his last in Delhi yesterday. The body was brought to the Brar family’s palatial house last night. An inconsolable Karanbir, Sunny Brar’s youngest son, said, “We were planning to celebrate the victory of my mother Karan Kaur Brar, Congress candidate from Muktsar. But, destiny had something else in store for us.” Bhattal said Sunny’s demise was an irreparable loss to the party. Chartered Accountants (CA) are having tough time with the Election Commission keeping a strict vigil on poll expenditure. While the voting was over on January 30, the poll expenditures would be added to the candidate’s expenses even on Tuesday in case the candidate indulges in any celebrations. In Patiala, senior Congress leader KK Sharma has issued an advisory to supporters to restrain from celebrating in a luxurious way. 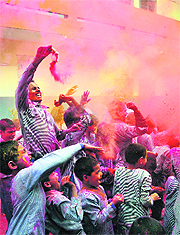 “People should wait till March 9, so that the EC guidelines are not violated,” said Sharma. “I have managed the entire record of our candidate till January 30, but now we have a tough task to ensure that supporters do not do anything silly for the next two days. The election expenditure should not go beyond the ceiling of Rs 16 lakh by any means,” said Vinod Aggarwal, whose firm is managing a couple of candidates in these elections. Before delimitation, all the 11 seats in the district were won by either the SAD or the BJP but analysts say this time it will be difficult for the alliance to repeat its performance. A SAD minister said he expected a tight contest on at least six of the 10 Vidhan Sabha seats- Batala, Dinanagar, Sri-Hargobindpur, Fatehgarh Churian, Qadian and the newly carved out constituency of Dera Baba Nanak. “The Congress may make a comeback in at least five segments,” he claimed. The fate of Speaker Nirmal Singh Kahlon, Agriculture Minister SS Langah and Education Minister Sewa Singh Sekhwan is locked in the EVMs kept at Beant College of Engineering and Technology and Sukhjindra College of Engineering. Kahlon is facing a stiff competition from former Parliamentary Secretary Tripit Rajinder Singh Bajwa of the Congress. “The Speaker would have had it easy but for the poor image of his son Ravi Kiran. False cases registered against Congress workers in the past five years will go against the Speaker,” said a senior Akali leader. In Qadian, Education Minister SS Sekhwan is pitted against Charanjit Kaur Bajwa of the Congress. A greenhorn, her husband, Member of Parliament Partap Singh Bajwa, astutely managed her campaign, putting in 16 hours everyday in the runup to the poll. In the newly carved out Dera Baba Nanak segment, Agriculture Minister SS Langah is locked in a tough battle with Gurdaspur DCC chief and former Parliamentary Secretary Sukhjinder Singh Randhawa. Deputy Commissioner Mohinder Singh Kainth has asked all employees on counting duty to report to his office at 5 am. In a letter to the Akal Takht Jathedar, Mohan Singh alleged that his religious sentiments were hurt when policemen allegedly filmed him in an objectionable manner. "The VB officers asked a policeman to remove my clothes and then took pictures of mine and a cop together in an objectionable manner, hurting my Sikh tenets. I was threatened to withdraw all my RTI applications against Patiala SP (Vigilance) or these pictures would be released", Mohan alleged. Denying the allegations of the patwari, officials of the Vigilance Bureau said that he was blowing up the matter. However, a high-level probe is already on in the matter. The policy, among other things, makes it clear that the new dry rice shelling units with sun drying process will be set up in focal points and on designated industrial land use zones. The units will also be 300 metres away from the bye-pass, national and state highways and also the scheduled roads. The policy also states that water will be sprinkled periodically during the loading and unloading of the ash to keep the top layer wet and prevents ash particles from blowing away with the wind. Taking a note of the policy, the Bench of Chief Justice Ranjan Gogoi and Justice Mahesh Grover asserted: "During the course of proceedings and after intense prodding by this court, a comprehensive policy has been placed on record". The Bench observed the policy was on "location of the rice shellers and the manner in which the husk is to be disposed of and also the manner in which the bye-product namely ash is to be handled". Disposing of a bunch of four petitions on the functioning of the rice shellers in the state, the Bench added: "We deem it appropriate to close the writ petition with a direction that in the ensuing paddy season, which is likely to commence from September 2012, the PPCB shall ensure that no rice sheller in the state functions without there being a compliance of the requirements of the policy". The Bench of Chief Justice Ranjan Gogoi and Justice Mahesh Grover today ordered a judicial probe into the alleged segregation and solitary confinement of three inmates in Ferozepur jail for protesting against free drug sale in jails.